Austin, TX. 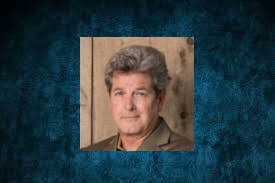 – FedFis today announced that Patrick Rivenbark has joined FedFis as EVP, FinTegrated Solutions. Patrick previously worked at MEDICI and FIS Global. In addition, Patrick is very involved in the Carolina FinTech Hub. He is widely recognized as one of the top FinTech experts in the United States. FedFis is the go-to solution for Banking & FinTech in the U.S. The largest financial services firms in the world rely on FedFis. 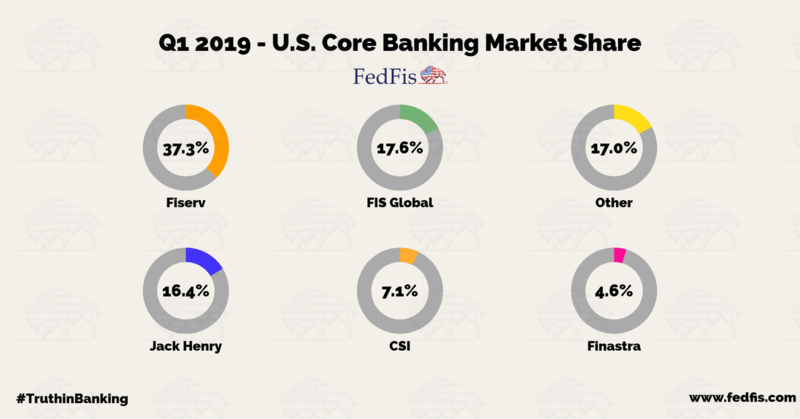 Patrick commented, “With the rapid growth in FinTech, U.S. Banks & Credit Unions should have more options when it comes to new digital banking vendors. However, many emerging FinTech vendors simply don’t have the right data or industry knowledge to appreciate the complexity of the current ecosystem – both in terms of market trends and technical compatibility. I’ve been so impressed with how FedFis combines banking knowledge and unique vendor data to help FinTech’s thrive for US financial institutions. If we can help these companies thrive, Community Bankers will have more integration points, more options, and more leverage to lower their digital spend. This will result in a more competitive banking ecosystem which is great for Banking, FI FinTech vendors, and ultimately banking customers." The FI FinTech Conference for Community Bankers. Product Solutions for the FinTegration Ecosystem © Suite. ‘FinTech Stater Pack’ – Empowering FinTech companies with contact data for each FI’s “Digital Banking Committee,” along with FI Ratings & Scores. ‘FinTegration Focus Report’ – Giving visibility to existing vendor market share and integrations. FedFis offers full financial data, and vendor data on all U.S. Banks & Credit Unions. Market leading Email Contacts for each FI in the U.S.
FedFis helps Banks understand how to lower their digital spend and initiate new products based on a ‘FinTegration Strategy.’ FedFis also arms FI FinTech companies with actionable financial institution leads and Protects VC investments in FI FinTech. Austin, TX. – FedFis today announced that Bobby Button has joined FedFis as Vice President of FinTegration Strategy & Sales. Bobby recently served as Relationship Manager at Malauzai Software, and before that, he built and managed Malauzai’s Lead Generation program. Bobby’s key accomplishments include generating millions of dollars in revenue and hundreds of net-new Bank & Credit Union leads. Bobby advised Financial Institutions on FinTech Digital strategies centered around Online & Mobile Banking Solutions with an expertise in integrating & commercializing a wide variety of other FinTech vendors. FedFis has built a reputation as the go-to Financial Institution Data provider for Financial Institutions, Investment Banking firms, and the largest banking financial research-intensive firms in the world. Bobby also expressed concern for the ways in which FinTech companies enter, thrive and sell in the complex ecosystem of digital banking integration. “With the advent of FI & VC funded FinTech incubator / accelerator programs, U.S. Banks & Credit Unions should have more options when it comes to researching & selecting new digital banking vendors. 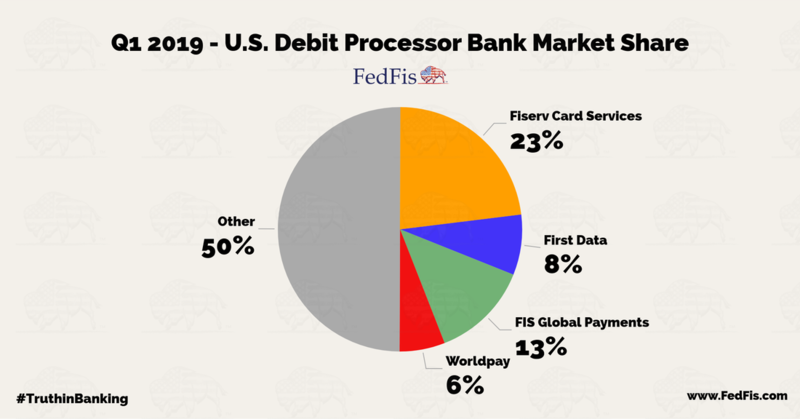 However, many of these FinTech vendor entrants simply don’t have the data, integration point mapping / market product knowledge, or experience selling to FI’s, resulting in minimal exposure and brand awareness. If we can help these FinTechs thrive, Community Bankers will have more integration points, more options, more leverage and more room to lower their digital spend when it comes to vendor selection." 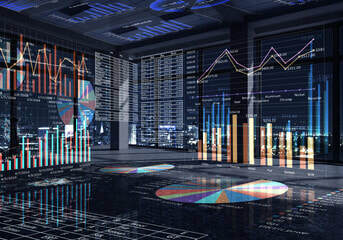 FEDFIS, a financial institution data provider for financial institutions and investment banking firms, has renewed the agreement allowing access to their financial database of all United States banking institutions to Mays Business School finance department and Commercial Banking Program (CBP). Dave Mayo, CEO of FEDFIS, commented that understanding how to use data to make decisions on operations and technology choices is critical to today’s banker. For CBP students, FEDFIS’ data has been incomparable in their coursework, in researching banking companies for bank case projects, as well as in preparation for their interviews for summer internships and permanent employment with banks. Without this database, finance and CBP students would not have convenient access to the depth of banking information provided by FEDFIS, which has been crucial to their success in the classroom and beyond. Austin, TX. – FedFis today announced that Tanner Mayo has joined FedFis as President. Tanner recently served as Executive Relationship Manager at Malauzai Software, and before that was Vice president of Sales at Malauzai where he was concentrated on Sales, Relationship Management & Partnerships. Tanner advised Financial Institutions on FinTech Digital strategies centered around Online & Mobile Banking Solutions. “We use AI and Machine Learning combined with old school data collection techniques, to unleash the potential of FinTech and Banking. All of our Next Level Data products are built to help FI FinTech firms introduce their products to the right FI’s. ‘FinTech Starter Pack’ - Empowering FinTech companies to find the “FinTech Contact Email” in each FI. ‘FinTegration Focus Reports’ – Giving visibility to existing vendor market share and integrations. BILL PAY VENDORS & more for every Financial Institution in the U.S. The primary digital footprint is Core, Online, and Mobile. The payments footprint is Debit Processor and Credit Processor, for both consumer and business. Combined, you have vital information for digital integration decision making. TO GO A STEP FURTHER, FedFis blends the FI’s financial data with the digital footprint, that is the power of the FedFis FinTegration Ecosystem©. It is the very definition of data driven strategic market intelligence. The FedFis FinTegration Ecosystem© is the integration platform for an FI. It was built to help firms make tactical and strategic decisions for their organizations, bringing together FinTech and Banking. FinTegration is created to replace disruption with cooperation, through FI integration. The word “FinTegration” is catchy. It contains both “fintech” and “integration”. Much like the word “finTech” is built of “financial” and “technology”. The term itself, points to the next level of digital integration, in financial services. For FinTech companies, it shows them the FI’s they are most likely to win as customers. For FinTech to be successful, it must integrate into existing banking. Is Fiserv a FinTech firm? Yes, they would be a key part of Core, Online and Mobile, and they are also in Debit processing, Credit processing, Bill Pay and P2P. They are a major player in, and an early adopter of, the FedFis FinTegration Ecosystem©. Knowing that information for each FI has tremendous value. In fact, it is essential information for digital integration between FI’s and FinTech. Built by a team of FinTech Data Experts and FI Financial Data Experts, we understand the complexity of these relationships and the usefulness of this information. Data like this has been sought after for over 35 years and FedFis has made this available to the public for the first time. As with any new information, it is hard to see 100% of the value at first glance. Yes, there is a lot more behind it than just who the vendors are. For example, the interchange fees for Debit by vendor by asset class of institutions. Or market share of Core Processors by geography or size of institutions or number of clients. In the world of financial APIs, to bring benefits requires smart and relevant integration to be done. Digital integration is currently both the challenge and the opportunity for FinTech companies. That’s why this integration is worth its own term and “FinTegration Ecosystem” seems to be a very appropriate one. It has the potential to become a hashtag: #FinTegrationEcosystem. Bank and credit union data is incredibly useful and almost everyone in the industry needs it. You can find potential customers, leverage it for investment banking, competitive analysis, due diligence, and monitoring the health of the industry. Finding financial institution (FI) data seems pretty straightforward – a good amount is publically reported. However, once you start digging, you will find that it’s not that easy. The dominant provider of this data is SNL Finance, which was acquired by S&P Global for $2.23 billion in 2015. As with anything in FinServ and FinTech, we like to ask ourselves: who is challenging the old guard? That’s how I got to know FedFis, an FI data provider from Austin (FinTech Cowboys). After learning more about the company, I thought you should know about them too. Typically, this type of story would involve me calling up FedFis’ CEO, Dave Mayo (someone I’ve got to know over the last year), but I didn’t do that. Instead, I spoke with Walt Boyer, who leads investment banking at Mundial Financial Group. Walt has decades of banking experience (37 years, but who’s counting?) and has worked first-hand with data from SNL and FedFis. I wanted to know why he uses FedFis. Walt and I spoke for about 45 minutes so I’ve edited our conversation for brevity and clarity to highlight why FI data and FedFis are worth your attention. “In the mid-‘80s, there was a lot of bank turmoil in the industry, so the regulators and others wanted to be sure that you as a bank were protecting your bank from the negative condition of another financial institution. If you are a commercial bank, you are required to monitor your bank’s exposure to other banking institutions. You’re supposed to be able to measure or gauge the intensity of that exposure, recognize if certain degradation happens, and have a plan to protect your bank. That meant that we needed more financial data on financial institutions. The next two decades of Walt’s career took him to Amegy Bank, Keefe, Bruyette & Woods, and Alvarez & Marsal where he leveraged SNL for financial data in his M&A, investment banking, and broker-dealer activities. After joining a startup broker-dealer, Mundial Financial Group, Walt needed financial data and naturally wanted to implement what he was familiar with (SNL) but couldn’t afford it, so he turned to Dave. “I don’t care how old you are, switching to something new after 15 years isn’t easy. At first, I had to think about it in the old system [SNL]. It would have been hard but having the FedFis team hold my hand and walk me through it helped a lot. “After we got through the initial training, we recognized that FedFis’ data was remarkably thorough – we had all the same core data. I was pleasantly surprised at how experienced FedFis are at understanding how we did things in the old system, like financial models, and moving it over to his platform getting the same result. “Something that I have not seen in any other bank data service provider is their Fintegration Ecosystem. Yeah, it’s a mouthful. In short, they are able to provide data on financial institutions’ vendor relationships like core processors, online banking providers, and merchant services. Been there, done that: What you can learn. FinTech, and technology in general, has an obsession with the youth and what’s new. We shouldn’t ignore the new tools at our disposal – be it mobile, blockchain, or machine learning – talking to Walt about FedFis and Dave Mayo made me think about the key to a company’s success. 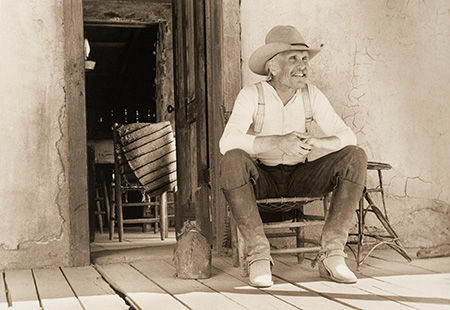 After almost four decades of pushing the envelope in providing banking data, Walt attributed FedFis’ success to the ethics of the people on the team. It gave him confidence that they can just “go about their business.” It was one of the highest compliments and perhaps, a sign of a company that truly understands its customers. I’ve had the pleasure of getting to know Dave Mayo from FedFis over the last several months and it’s been a real pleasure to talk to him and his team. Dave knows banking, data, and technology; his experience gives him a unique voice that we think is important to share. We hope you enjoy our conversation with Dave! Patrick Rivenbark: Thanks for being with us, Dave. Give our audience a brief history lesson about you. Dave Mayo: Way back in the ‘80s, a company named Sheshunoff, became the first to do in-depth analysis of the banking industry. You may remember the bank books that every banker had in their office, that was the beginning. Everyone knows Austin today as a tech hub, but back then the first software firm in Austin was BPI, the predecessor to what we now know as QuickBooks. Sheshunoff recruited these accounting software gurus to create the first Bank Financial Data Analysis software and an industry was born. FedFis pioneered the financial data industry and I have never done anything else. We are the financial data experts that started it, all those years ago. Many of our clients have been following us for over two decades, the really smart ones. LOL. ​PR: What is FedFis? What does it do for your customers? DM: We are not a bank, we are not a FinTech…We are the enzyme between them. We solve problems using FI financial data and the Bank Technology Platform (the digital vendors the FI uses). Our FinTechServ division even has contact emails and merger risk scores. We have all of that for every FI. For FedFis alone, we serve 13 market segments and inside each segment there are multiple departments, all working to solve different problems. We provide a depth of information that allows them to solve their problems at a complex level. From Mergers & Acquisitions, to Credit Risk, Counterparty Risk, Investment Banking, Insurance, CPA firms, Banks, Credit Unions and Regulators, all are part of our client base. FinTech firms became such a large segment that we created a new division, with products specifically designed to help them increase their presence in FI’s. From the biggest FinTech in the world, down to incubator companies. I particularly like the little guys. They have passion. Payments is another segment that is growing rapidly and may require its own division in time. PR: You’ve been in the data business a long time. What are your thoughts on the hype around data in Financial Services? DM: So many people misunderstand the word “Data”. There is a big difference between decision driven data and big data or raw data. To reverse engineer the data, to resolve the desired problem you are trying to solve, you better have an expert or your decisions will be driven by poor analytics. Example: If you want to know who is the top mobile vendor, you do not look at who has the most, OR even who is taking the most business, trajectory will be influenced by partnerships or loss of partnerships. Sounds strange, but that is why you need an expert. In the old days, they used the term “garbage in/garbage out”. When it comes to the data business, I wish more people understood that at a granular level. PR: Follow up: Are you seeing any mistakes repeating themselves? DM: Everyday! Yes, the rush to predict how this or that will change the future and how we had better get on board. The message still sells well, because all it has to do, is sound good. Grandma warned us about that and we are still acting on it. Stop listening to the sales person tell you about the future and instead turn that problem over to a real data expert. Quality data predicts the future for you. Want to know if mobile will take over online banking, it is in the data. Here’s the deal…You don’t predict the next crash, you read it in the data. PR: Congratulations on your recent education engagement with Texas A&M. Can you explain what you’re doing in education? DM: In order to adequately manage a Financial Institution, you need a solid base of banking financial analysis skills. Banking is highly regulated and for most people it is upside-down accounting. What we measure (rates) and what we assign weight (assets) is not intuitive and must be taught. We take pride in helping shape new banking experts and it’s fun! I think I have met about 4 people in my life that really know banking. Very few really understand the digital compatibility space. So, I tell them, if you like complexity and many moving parts, you will love learning banking. PR: We think financial services education is critical to benefiting the ecosystems. What do you think FinTechs could learn about to be more successful with banks and other financial institutions? DM: This is where we confuse each other. First, we should separate FI Fintech from challenger Fintech. Typically, FI fintech firms are made up of product people. They underestimate how to get their products into banks. They know little about core integration and the costs and complexity and even less about which point solutions would be the best options to partner with. Consequently, you must understand your partners’ market relationships because their interests are not always perfectly aligned with yours. Heck, they are there to sell their own product, not yours. We see it over and over, a significant market event (someone buys or sells or changes a major relationship) could be a big deal to you, but not to your partner. You need direct market intel on your partner. When an event happens, by using data, you find the exact clients that would benefit and get that intel into the hands of your people and your partner. Now the question is, will they act on it and what is the impact to you if they don’t? These are the questions that most FinTech firms are not answering. I hear, “we don’t need data, we sell through partners”. I think to myself, you will be the next victim of a market event. PR: What about the banks – what advice would you give on how they need to get educated in FinTech? DM: Bankers, FinTech is not a catch-up tool. It is a get ahead tool. Listen and find what issues will bring in or lock-in, your target market and secure their deposits. Everything gets easier after that. Then, find products in FinTech that are more nimble than the large banks can take advantage of. Use those products to protect or grow market share. The fastest, easiest way to move money, lend money, pay money, and deposit money. That is the path. Let the fintech do the regulatory leg work. Trust, but Verify. PR: What’s next big milestone for FedFis? DM: The Technology platform of the bank is what we call the FinTegration Ecosystem. We continue to blend that with financial data and improve on ways to use it. Since that is the future, we will be focusing on more ways to help Fintech sell to FI’s. PR: In financial services, what’s the last idea you changed your mind about? DM: Once we had the banking technology vendor platform, it became clear that the idea of a true open API was never going to happen. Maybe one other idea I am holding out on, is that they would eventually break up the big banks. The harm being done to community banking is horrific. We need more strong community banks to lead the innovation of FinTech. Fintech needs customers to grow and the FI’s are the future customers. PR: Dave, thank you so much for taking the time to be with us and we look forward to your continued leadership in the industry!